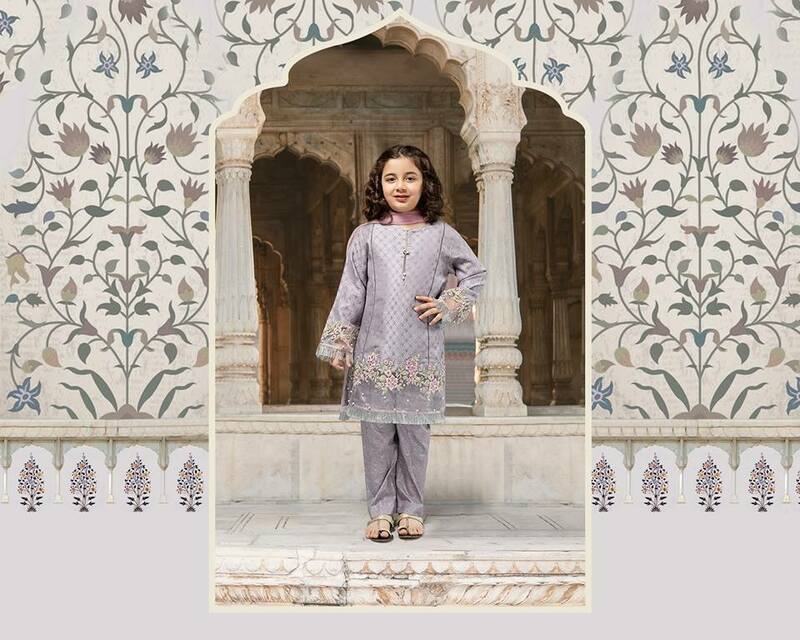 Dareecha a feminine collection for baby girls introducing by leading fashion designer of Pakistan Maria B under the brand name M Kid. 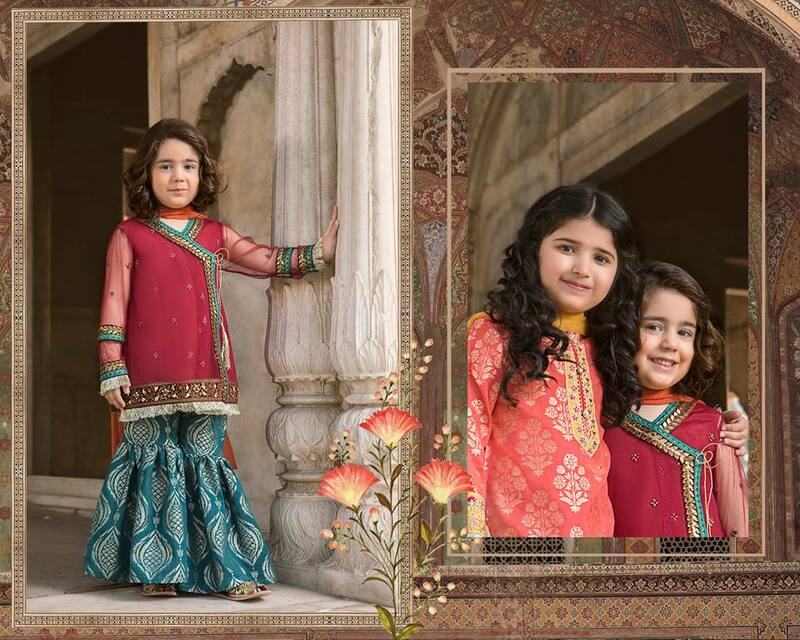 Dareecha introducing for 6 different size for your young girls. This collection looking so gorgouse due to his creative designs with marvel prints and modern cut and style. 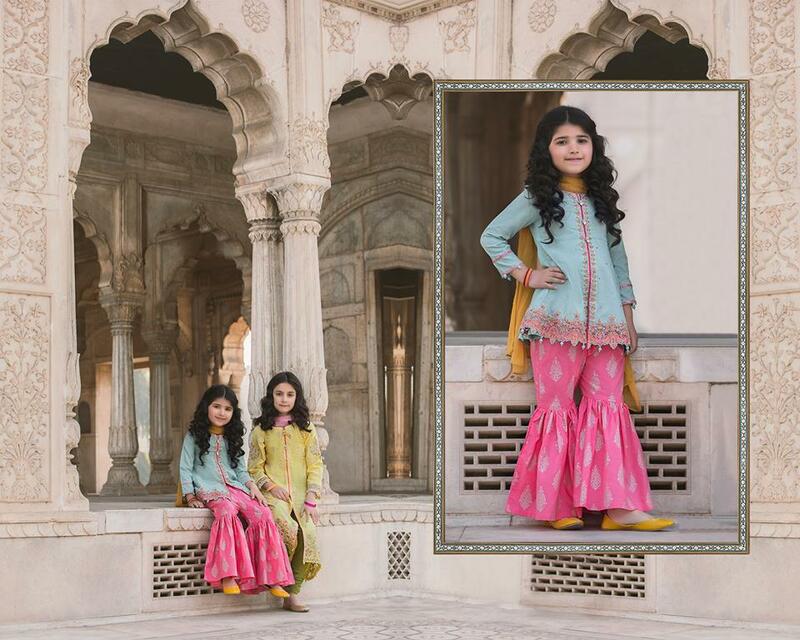 The collection consisting of 3 pcs dresses with embroidered trouser or stunning chunri for your little princess. 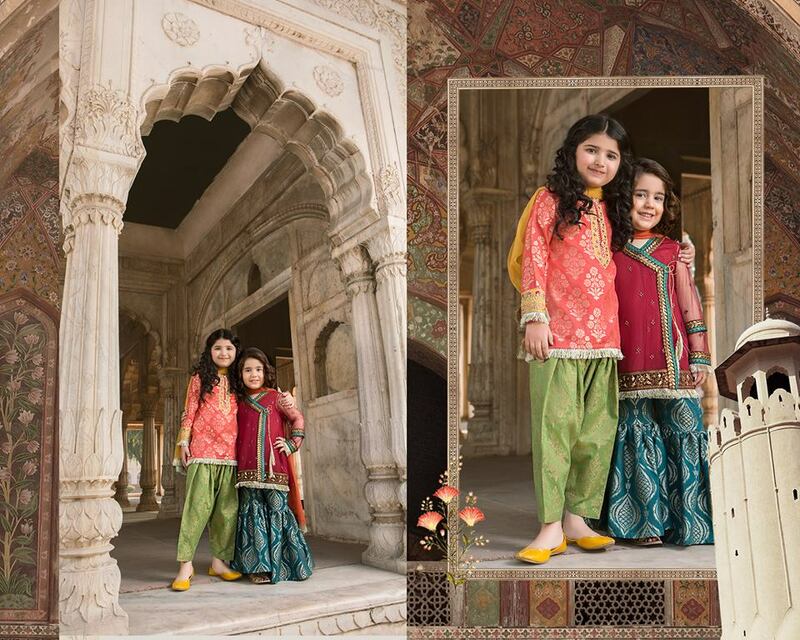 Some dresses introducing with Gharara or some with simple pant style trouser. I really like these dresses or want to buy some for my little angles for next coming wedding function. 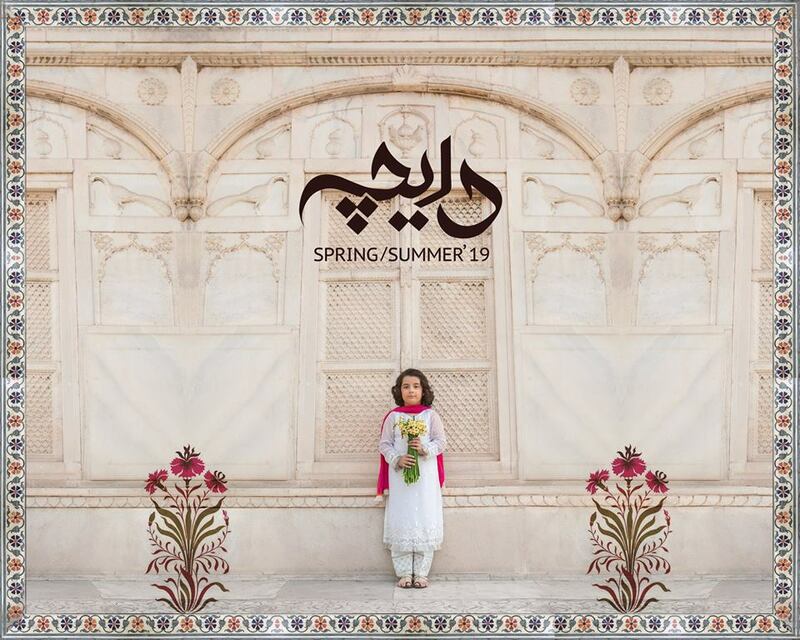 Recently i visited Maria b outlet in Lahore or check the quality or stuff of this collection its looking very fine fabric with sophisticated prints. 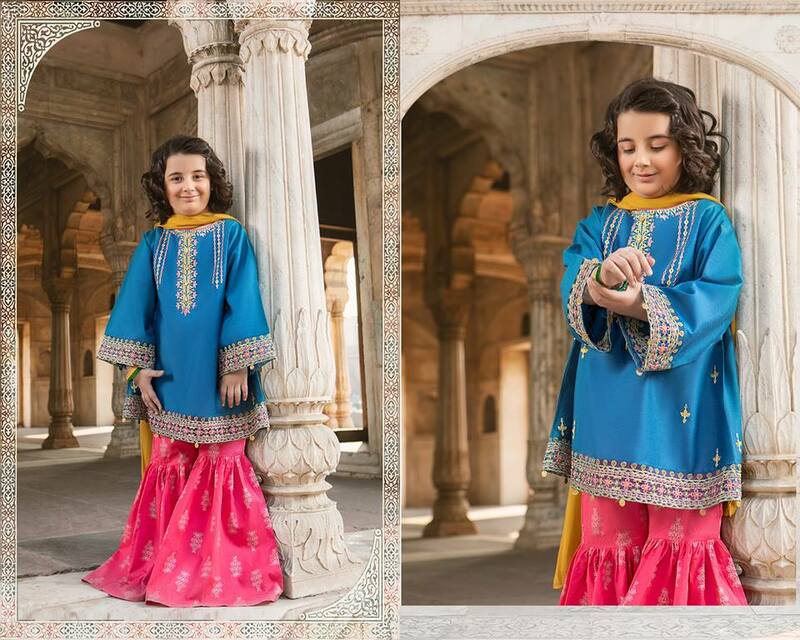 Some dresses introducing with trendy Gharara its looking very nice for little girls. 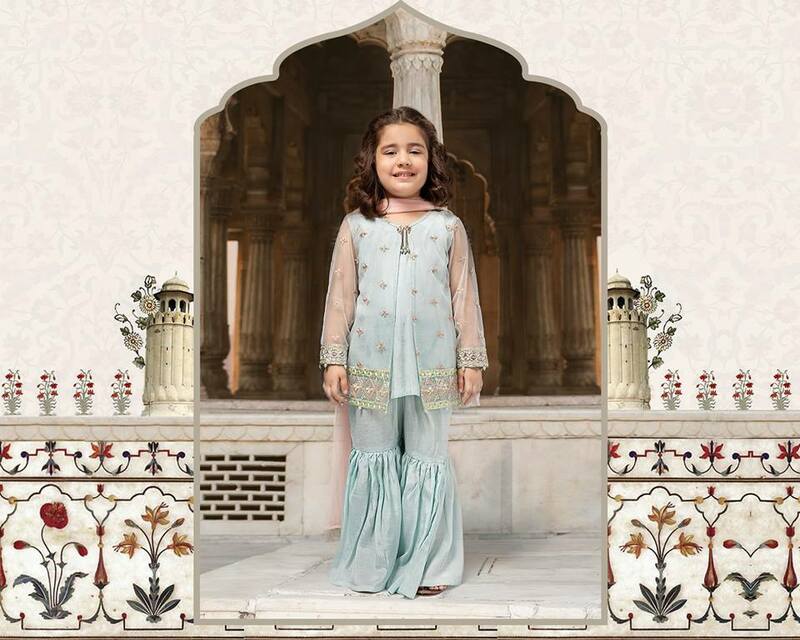 I recently saw a cute baby girls wear this kind of Gharara with little bit embroidery work its looking so nice. 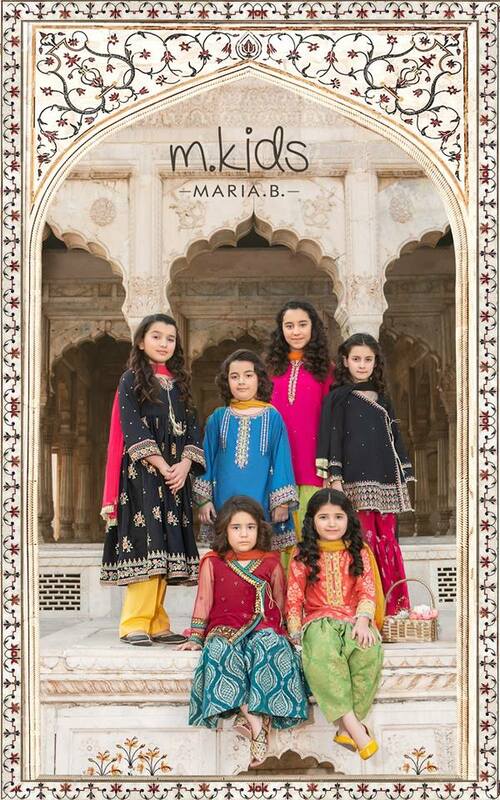 SO another stunning collection introduced by one of the best and leading clothing brands of Pakistan Maria B. 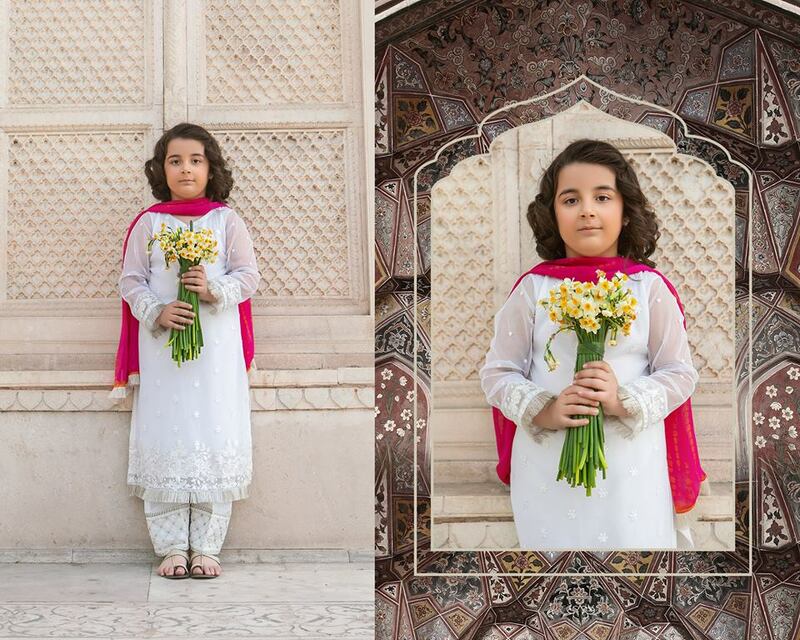 Hope you like or give a adorable look to your little princes.